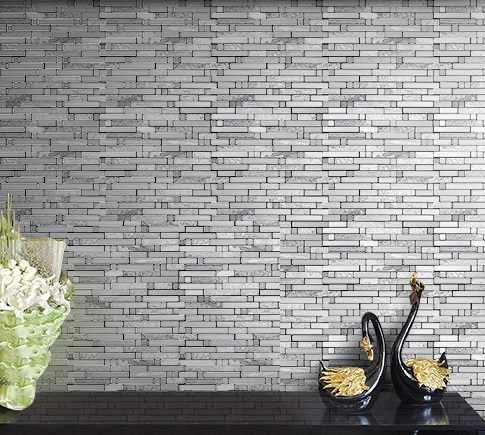 Give your home a refined look with the sophisticated Libson mosaic tile. It features attractive design which consists of stainless steel and stone mosaics in various shades of grey. It comes in a natural finish and is suitable for use as an indoor wall tile in kitchen splashbacks and bathroom and laundry walls. 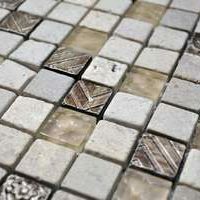 The Libson mosaic tile is available in a standard size of 300x300mm and is sold per piece. This mosaic is highly refined. Its minimalist style will do very well to complement both traditional as well as modern home décor and furnishings. It offers the perfect mix of style, practicality and affordability in a single package. 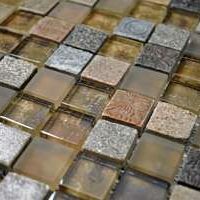 The Libson mosaic tile is manufactured to the best of standards and is built to last. It will retain its great looks even after several years. 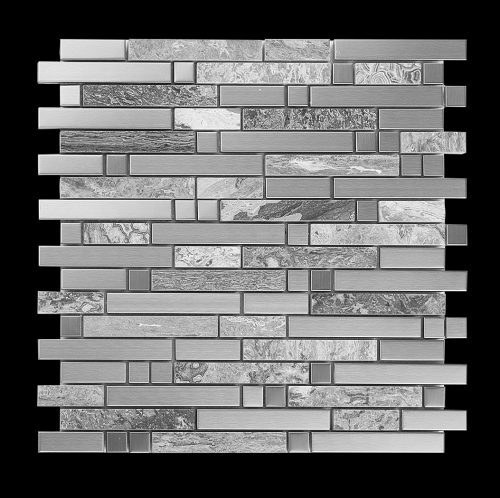 And, thanks to special design, it can be installed with minimum grouting which allows for a modern finish. For sophisticated mosaics in Perth, look no further than the Libson tile Ross’s Discount Home Centre. 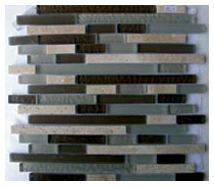 Buy this refined mosaic from our online store today to avail our free delivery across Perth Metro!